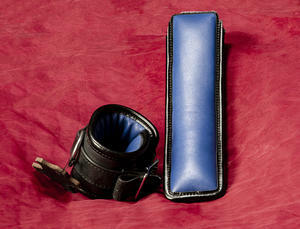 Lockable padded leather handcuffs with colored lambskin lining. 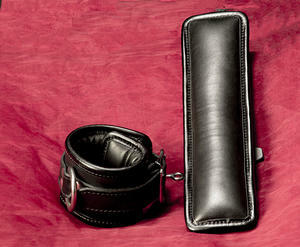 These exclusive handcuffs are made for maximum comfort. 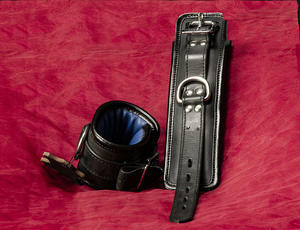 The thick soft lining makes the shackles sit comfortably around the wrists and the soft lambskin on the inside ensures that it is impossible to get out of the wrists.